When your soil gets too compact, there’s a good chance that your grass might not be getting the air and nutrients that it needs to reach its full potential. Lawn aeration, or core aeration, will help fix this problem by pulling up plugs of soil and then allowing air, water, and nutrients to reach the roots of your grass. Lawn aeration will help strengthen the roots and allow them to grow deeper. Strong roots in grass will help make it look very green and more beautiful. The following page has many more lawn aeration tips. Lawn aerating 2 times a year is ideal, once in the spring and once in the fall. With good aerators, lawn aeration can be a project to do yourself, but a yard care specialist can aerate your lawn for a very reasonable price as well. This is where The Lawn Aeration Pros step in and get the job done. 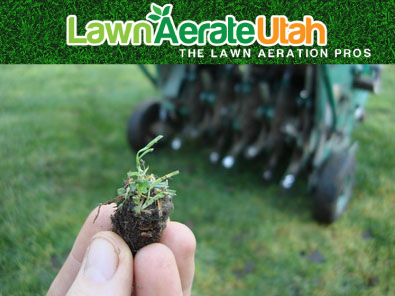 The Lawn Aeration Pros in Utah use only the best equipment on the market to satisfy clientele. We know that customer service is a priority and strive to leave great impressions with our professional work. We are not your run-around yard service providers. It is our goal to make sure that all of our customers feel that we did the lawn aerating with high efficiency and great quality. We want your yard to look better. Aerating lawns is our business, and we exceed expectations. 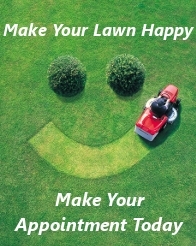 We plan to aerate your lawn quickly and leave you with a smile. Core aeration is awesome! Also, see more lawn care tips on how to keep your lawn perfect.